Carver have been building Boats in Milwaukee, Wisconsin since the 1960's Today, Carver Yachts continues in creating spacious, highly functional, and dependable world-class cruising vessels. From 34’ to 50’. What struck me most about this Boat when stepping aboard was how clean and well kept she is for a 1989 vessel. She was also CE marked post construction which is a independent validation of her design and construction. She has been regularly updated and maintained and benefits from a new engine believed to be fitted in 2008. She is ready to be sailed away for the season. 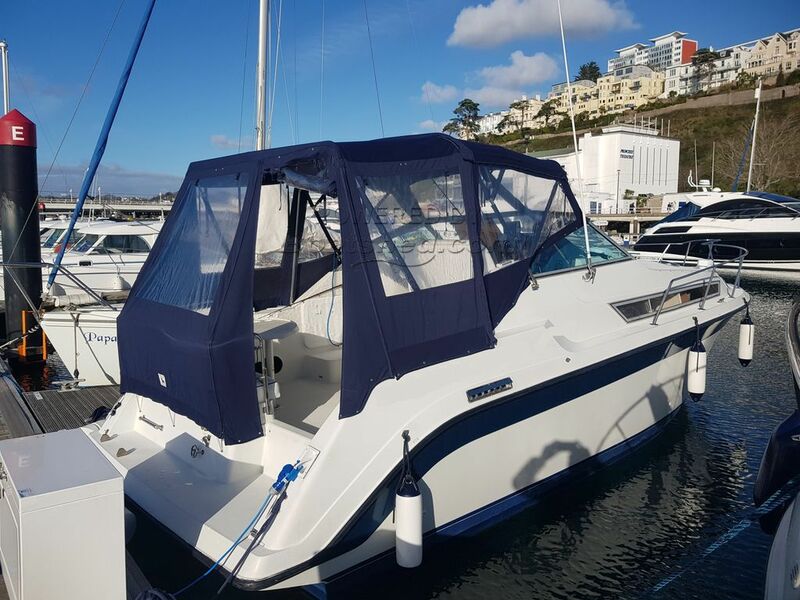 This Carver Montego 2557 has been personally photographed and viewed by Phil Key of Boatshed Torquay. Click here for contact details.